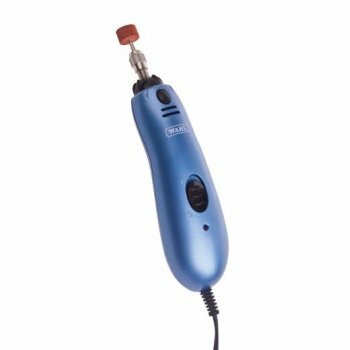 This mains powered pet nail file is designed to offer an alternative to clipping your pet’s nails. The lightweight, ergonomic design fits easily in the palm of your hand , leaving the other hand free to hold the paw as the nail is filed. Supplied with a range of attachments, all stored conveniently inside the back of the filer, this product can take away the stress of caring for your pet’s nails. Just hold the paw firmly and pass the filing tip across the nail applying a constant pressure. The high speed grit stone will file the nail with ease and efficiency. Attachment heads can be changed by unscrewing the nut and replacing the tip to ensure a smooth finish is achieved. 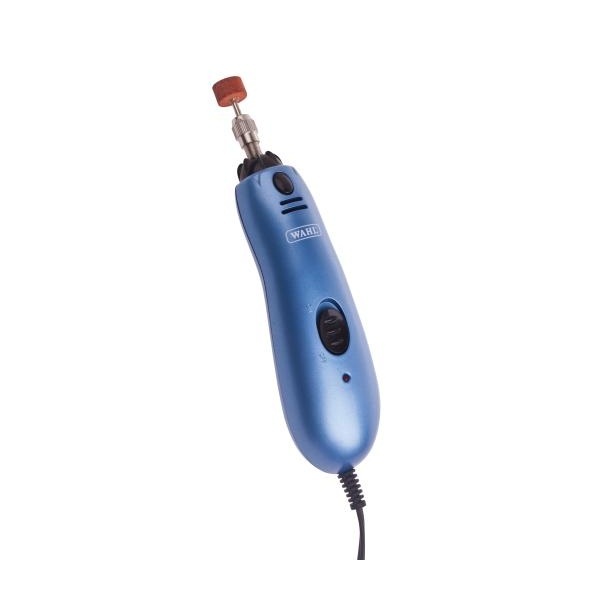 The Wahl Pet Nail File gives you a new alternative to trimming pet’s nails. This unique product should not be confused with battery operated versions, it is powerful, effective and removes excess nail quickly.